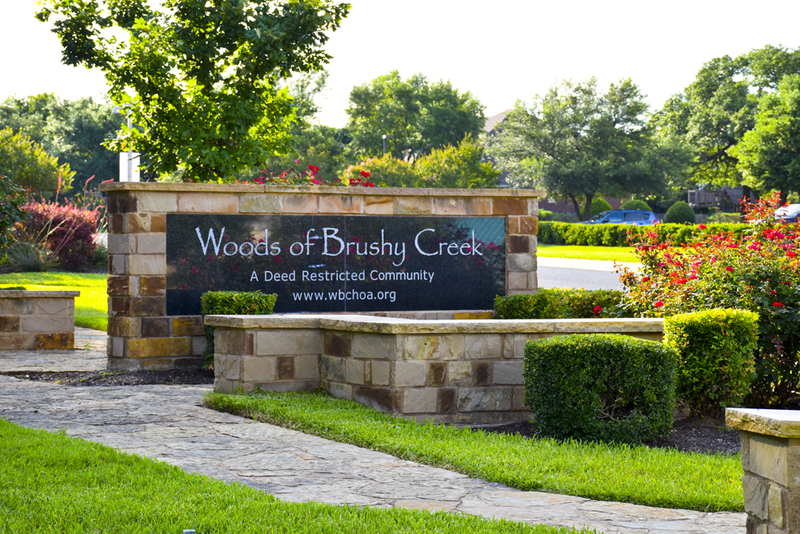 The Woods of Brushy Creek HOA Pool is located at 8600 Ephraim Rd., just southeast of the Ephraim Rd. and Delavan Ave. intersection. This pool is owned and maintained by the HOA and is available throughout the year exclusively to homeowners in The Woods community. It is separate from the pools available through the Brushy Creek Parks & Recreation Department. To obtain a key card pass to this pool, download and complete the Pool Application-Agreement, located below. Mail the application and fee to the address listed on the form. For more information, contact Goodwin Management, Inc. at amenityaccess@goodwintx.com, or call (512) 502-7515. The pool is open daily from 8:00am – 10:00pm for those 18 years and older. Please be aware that there is no lifeguard on duty. The pool gate is accessed via an electronic key card, which can be purchased for $120 per year. Limit 1 card per household.